Cloud computing continues to take root across various enterprises with its promise of ease, speed, and reliability. This cutting edge IT infrastructure has not only created spin-off industries and tech businesses but has also become the central underpinning of just about any company with a tech presence. The latest statistics and forecasts show cloud computing and cloud services are a growing and maturing market. The technology provides scalability, rapid reaction time to changing business needs, and enhanced security. It’s of little surprise savvy leadership teams are revamping business models based on cloud computing and infrastructure. From marketing firms to tech startups, the future is in the cloud. Security on cloud platforms continues to improve. However, companies must take an active role in risk management. One of the most significant concerns among enterprises is a data breach. A data breach involves an internal error or the failure of a security protocol that allows unauthorized access to a database. The average cost of a data breach in 2016 was $3.6 million. Presenting another cybersecurity issue is hacking attacks and fraud. You may recall the 2014 Sony Pictures hack by a group known as Guardians of Peace. The group released personal information belonging to employees, confidential emails as well as salary information for the executive board. Sony’s losses from the hack included the $44 million it invested in creating a film that it never released. In addition to the lost investment, Sony had to clean up the hack, install new programs and security systems, and faced a massive loss of productivity while the entire enterprise was unable to operate due to the hack. Note, not all security risks are criminal. Enterprises face security breaches due to internal system failures. Mistakes and oversights are not uncommon and can stem from human errors as well as system problems. Even measures designed to protect consumers can present financial risks. Consider the GDPR – the EU’s massive regulation regarding the collection of data. Any enterprise with a single European consumer must abide by the rules. Not complying can be costly, as can implementing the standards. While just about any industry with a digital presence is at risk for cybersecurity breaches, some industries have more significant concerns when it comes to cloud-based computing and infrastructure. SaaS enterprises, for example, are a common target for data breaches and cyber-attacks. Because access to SaaS data is sensitive and continuously available, they are a frequent target. Similarly, Fintech companies are particularly susceptible to data breaches and attacks. Like SaaS companies, Fintech enterprises store a large amount of personal and financial data. While the large Fintech players may be the most appealing for hackers and cybercriminals, any size Fintech company is vulnerable. On-demand enterprises are also a frequent target for data breaches and cybercrime. On-demand platforms must worry about several areas of vulnerability. Security concerns arise from data storage, user input, and broken cryptography. Cyber threats affect industries across the spectrum and any companies reputation is on the line. One hack or breach and consumer trust is broken. While large data breaches and hacks get a lot of media attention, the main street business also has exposure and must be protected with proper cyber insurance and security platforms. With advances in cloud options, small businesses have opportunities to scale without getting bogged down in large software and hardware investments. But that kind of accessibility comes with risk. This is where cyber liability insurance is essential. Cyber insurance protects companies from lawsuits, fines and penalties surrounding cybersecurity. The coverage has evolved to include public relations assistance, credit monitoring services for victims, and forensic services to find the breach. Claims history: If your company has a significant claims history, you could pay a higher premium or a surcharge. Data type: The type of data your company collects and how long it is kept influences the cost of a policy. Customers: The more customers you have, the greater the damage of a data breach. Revenue: A company’s revenue is the primary rating factor as it gives a good measure of business reach, and therefore, risk. Services: The business of your business also influences the insurance rating. For example, a barbershop faces less cybersecurity risk than does a payment processing company. Data security: Google offers data security tools to prevent loss, leakage, and infiltration of enterprise data. Compliance: Google Cloud offers tools to help companies manage their security and data compliance. Partners can expect information, best practices, and compliance support. Google’s own compliance methods undergo rigorous testing to ensure the highest quality of controls, security, and privacy. Backups: Backups are crucial to helping your company move on from a security failure and preventing loss of data. Encryption: Data encryption is often the first line of defense when it comes to cybersecurity. Google Cloud offers encryption for data while at rest, in transit and at arrival, and use in applications. Premium reduction: Google Cloud’s enterprise-level security features can help reduce your cyber insurance premium. These features lessen your cyber risk and could result in a discount from your insurance underwriter, too. The essential elements of a successful approach to mitigating cyber risk include trust, security, and proper cyber insurance. 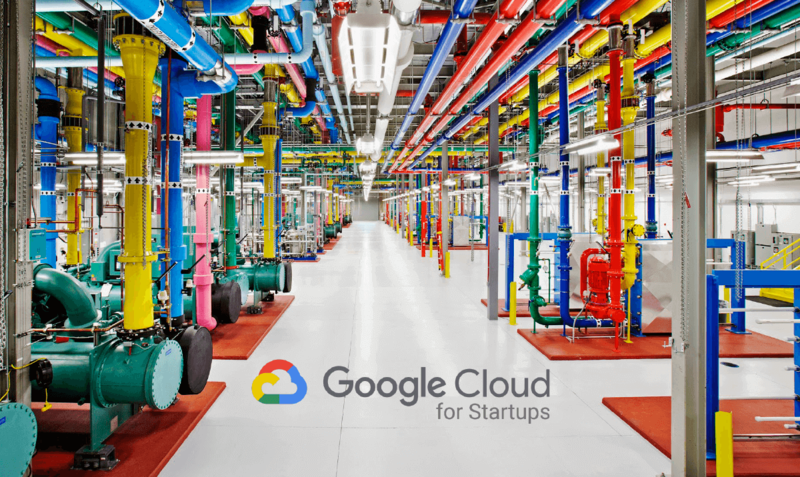 In this spirit, Google Cloud has partnered with Founder Shield to offer early-stage startups free access to Google’s Cloud for Startups Spark Package. The package includes $20,000 in credit, access to Google’s engineering team, and invitations to local startup events. You can apply directly here.